The Nissan D21 generation pickup truck was first badged as a Datsun when sold for the 1980 model year, but in the mid 80s it was part of the strange Nissan / Datsun transition. The US market was limited to the standard and king cab versions, but other folks around the world got the 4-door Crew Cab version with a short 4 1/2 foot bed. 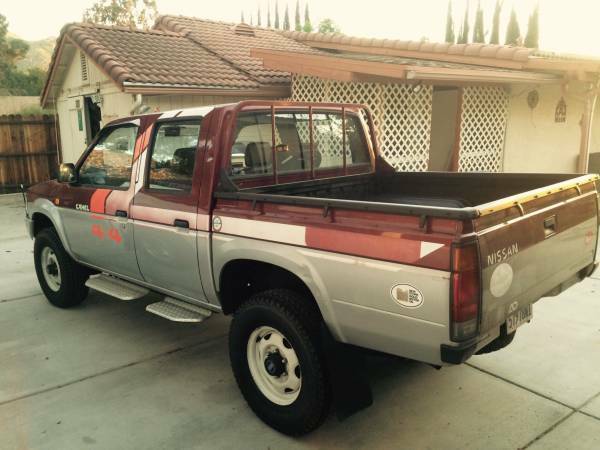 Find this 1987 Nissan Datsun Pickup D21 offered for $13,500 in Southern California via craigslist. Tip from SafetyFast. 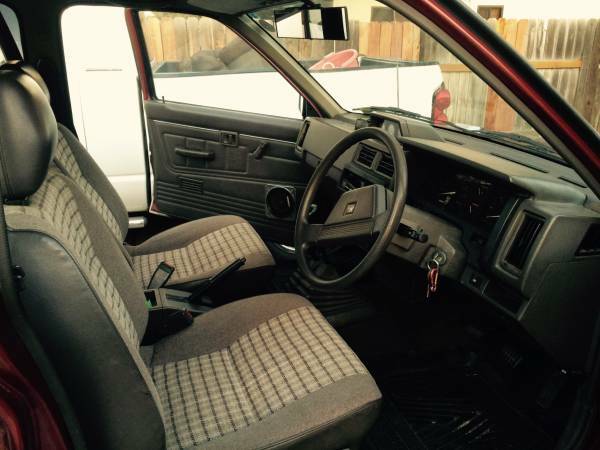 This D21 isn't just a simple imported Crew Cab version -- it also packs a diesel mated to a 5-speed manual making it a super double unicorn. 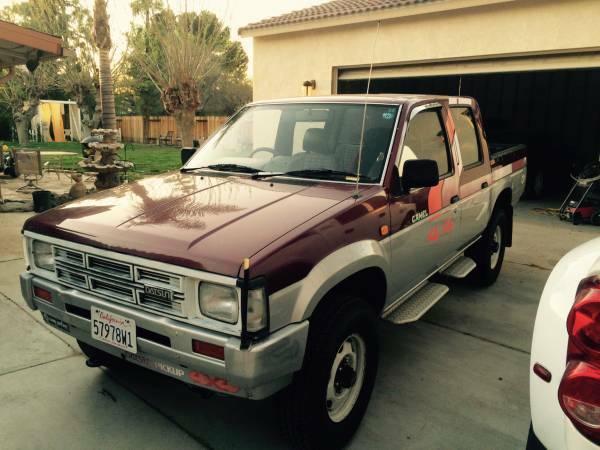 The seller has a legal California title/registration for this oddball -- but the plates are commercial style, which is common required on pickups in California for some strange reason. Nobody gets into an 80s diesel expecting it to be fast...and with a 2.3 liter pre-chamber diesel 4-banger that puts out 75 horsepower and 111 ft-lbs of torque, you won't have to worry about getting speeding tickets. 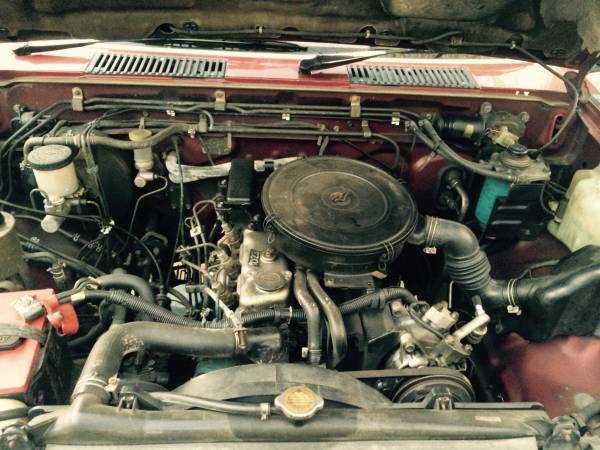 The asking price is higher than you'd pay for any other 80s Datsun pickup, but it appears to be in good shape inside and out. This would be the perfect Baja exploration vehicle. Blends in with the 80's weirdness, not flashy and probably pretty frugal. The only off-putting thing is the RHD, which could throw off the Federales.